Autocar Truck Hood Conversion by American Industrial. 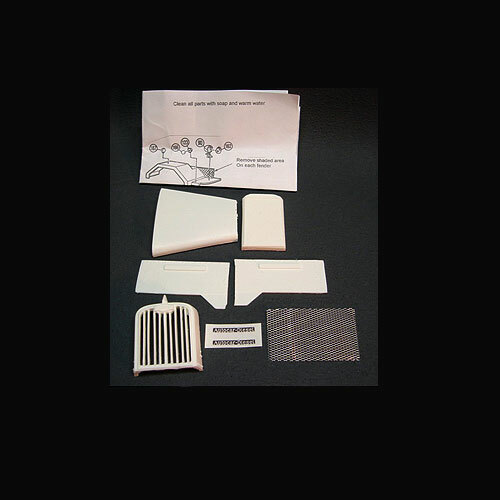 1950 Autocar hood conversion kit includes hood, radiator, grille, mesh screen for inside grille, decals and detailed instructions. This conversion can be used with any AMT or Ertl Autocar kit. Even though a kit may not be available anymore, or the manufacturer is out of business, you can still sometimes find them at local models shows / events, through model clubs, and especially ebay. On new and recent resin offerings, see our Model Car Links. I hope you will start here to find out if a kit has ever been made, as this will save you time and give you an idea of where to find your next project. Click here to do another resin model search! All trademarks and registered trademarks are of their respective companies. ©Copyright Rocketfin 2010, all rights reserved. Fort Lauderdale, Florida. 33063, USA. Prices, promotions, specifications, availability and terms of offers may change without notice. Despite our best efforts, a small number of items may contain pricing, typography, or photography errors. 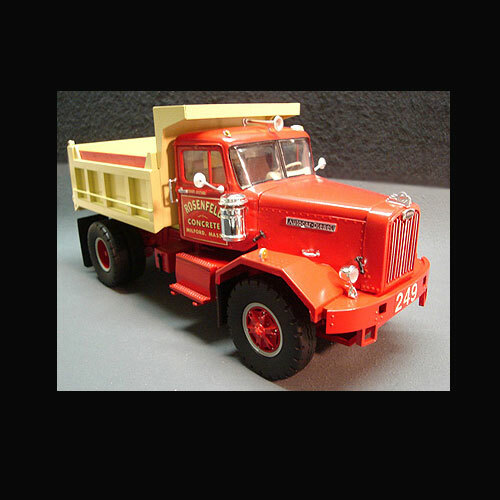 Resin Model Car and Truck Reference Search.